Performing excerpts of Felipe Galganni's Tap&Tom as part of the Inside/Out series at Jacob's Pillow. 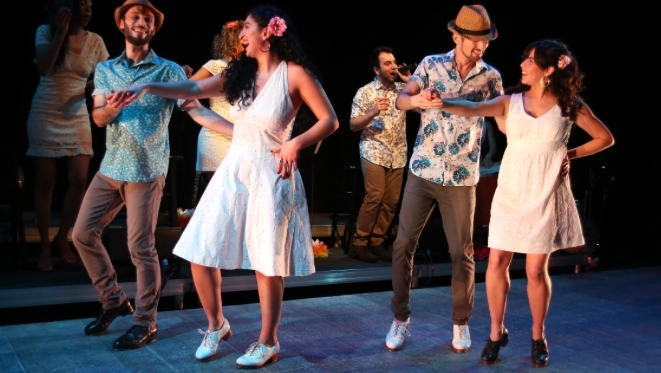 This is a beautiful show composed of four tap dancers, a live band, and singers, all performing the music of Antonio Carlos Jobim. Come enjoy some bossa nova in the Berkshires! Poetry Electric Presents: "Shhh... and Beats"